Quiet and peaceful setting close to all local attractions. 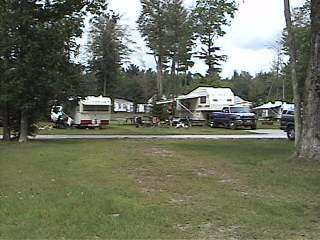 A great place to camp, both in RV's and tents. Accomadations include large pull-through sites, water and electric at all sites, dumpstation and portable honeywagon, clean and modern showerhouse, large pavilion, Picnic tables and firerings, horseshoes, volleyball, and a playground.